There’s lots of great homegrown music to be heard this weekend. So listen locally and support the vigorous music scene in downtown Northfield. Friday, August 28th, it’s Carey Langer, 5 p.m., The Contented Cow, Mark Mraz, 8:30 p.m., Froggy Bottoms River Pub, The Bohemian Duo at The Rueb’N’Stein, Lonesome Dan Kase at the Tavern Lounge (riverside of the historic Archer House), and KGB Band at The Contented Cow. 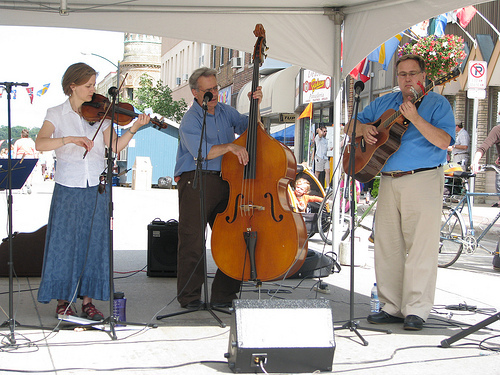 Saturday, August 29th, it’s The 4th Annual Harvest Festival, 11 a.m. to 2 p.m., Just Foods Co-op, featuring a number of local performers (including Scandium, just back from a triumphant world tour including Nordic Fest in Decorah, Iowa), Sweet Jazz, 5 p.m., The Contented Cow, Mother Banjo and Sneaky Pete Bauer, 8 p.m., The Contented Cow, D J Music, 9 p.m., The Rueb’N’Stein, and Kevin Stanke at the Tavern Lounge. Sunday, August 30th, it’s Politics and a Pint, 6 p.m., Northern Roots Session, 7:30 p.m., and Quiz Night, 8 p.m., all at The Contented Cow.